Freed of the military's oversight only in mid-2011, Erdoğan could win enough dictatorial power for him (or a successor) to achieve his dream and fully implement the Shari'a. Turkey's leader Recep Tayyip Erdoğan misinterprets a literary reference to suggest Muslims in Americas pre-Columbus. 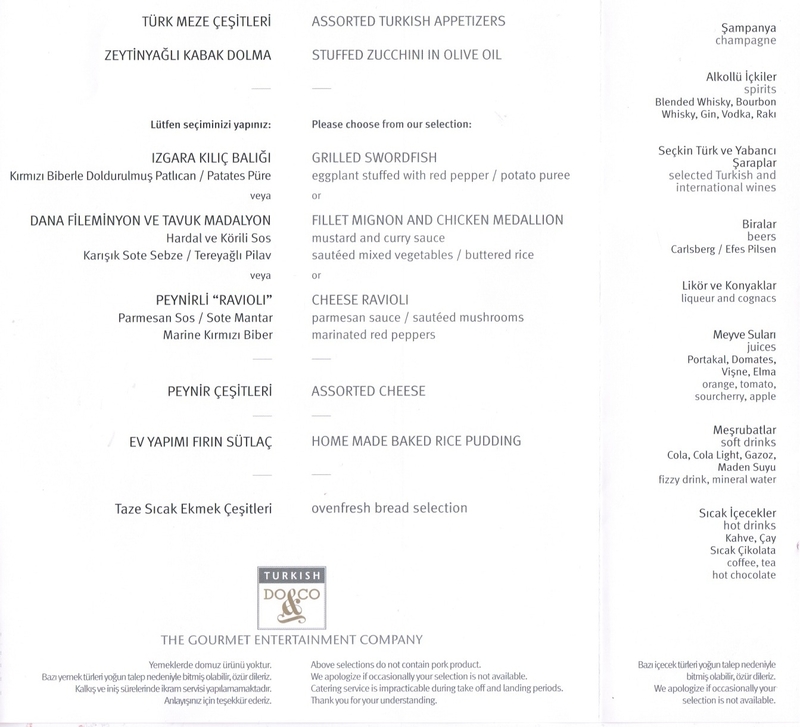 The menu for meals on my Turkish Airlines flight earlier this month assured passengers that food selections “do not contain pork.” The menu also offered a serious selection of alcoholic drinks, including champagne, whiskey, gin, vodka, rakı, wine, beer, liqueur, and cognac. This oddity of simultaneously adhering to and ignoring Islamic law, the Shari’a, symbolizes the uniquely complex public role of Islam in today’s Turkey, as well as the challenge of understanding the Justice and Development Party (known by its Turkish abbreviation, AKP) which has dominated the country’s national government since 2002. During recent discussions in Istanbul, I learned that Turks of many viewpoints have reached a consensus about Prime Minister Recep Tayyip Erdoğan: they worry less about his Islamic aspirations than his nationalist and dictatorial tendencies. Applying the Shari’a in full, they say, is not a feasible goal in Turkey because of the country’s secular and democratic nature, something distinguishing it from other Muslim-majority countries (except Albania, Kosovo, and Kyrgyzia). Accepting this reality, the AKP wins ever-greater electoral support by softly coercing the population to be more virtuous, traditional, pious, religious, conservative, and moral. Thus, it encourages fasting during Ramadan and female modesty, discourages alcohol consumption, attempted tocriminalize adultery, indicted an anti-Islamist artist, increased the number of religious schools, added Islam to the public school curriculum, and introduced questions about Islam to university entrance exams. Put in terms of Turkish Airlines, pork is already gone and it’s a matter of time until the alcohol also disappears. Islamic practice, not Islamic law, is the goal, my interlocutors told me. Hand chopping, burqas, slavery, and jihad are not in the picture, and all the less so after the past decade’s economic growth which empowered an Islamically-oriented middle class that rejects Saudi-style Islam. An opposition leader noted that five districts of Istanbul “look like Afghanistan,” but these are the exception. I heard that the AKP seeks to reverse the anti-religiousness of Atatürk’s state without undermining that state, aspiring to create a post-Atatürk order more than an anti-Atatürk order. It seeks, for example, to dominate the existing legal system rather than create an Islamic one. The columnist Mustafa Akyol even holds the AKP is not trying to abolish secularism but that it “argues for a more liberal interpretation of secularism.” The AKP, they say, emulates the 623-year-old Ottoman state Atatürk terminated in 1922, admiring both its Islamic orientation and its dominance of the Balkans and the Middle East. This neo-Ottoman orientation can be seen in the prime minister’s aspiration to serve as informal caliph, by his change in emphasis from Europe to the Middle East (where he is an unlikely hero of the Arab street), and his offering the AKP’s political and economic formula to other Muslim countries, notably Egypt. (Erdoğan staunchly argued for secularism during a visit there, to the Muslim Brotherhood’s dismay, and looks askance at Mohamed Morsi’s ramming Shari’a down Egyptians’ throats.) In addition, Ankara helps the Iranian regime avoid sanctions, sponsors the Sunni opposition against Syria’s Bashar al-Assad, picked a noisy, gratuitous fight with Israel, threatened Cyprus over its underwater gas finds, and even intervened in the trial of a Bangladeshi Islamist leader. Having outmaneuvered the “deep state,” especially the military officer corps, in mid-2011, the AKP adopted an increasingly authoritarian cast, to the point that many Turks fear dictatorship more than Islamization. They watch as an Erdoğan, “intoxicated with power,” imprisons opponents on the basis of conspiracy theories and wiretaps, stages show trials, threatens to suppress a costume television soap opera, seeks to impose his personal tastes on the country, fosters antisemitism, suppresses political criticism, justifies forceful measures against students protesting him, manipulates media companies, leans on the judiciary, and blasts the concept of separation of powers. Columnist Burak Bekdil ridicules him as “Turkey’s elected chief social engineer.” More darkly, others see him becoming Turkey’s answer to Vladimir Putin, an arrogant semi-democrat who remains in power for decades. Freed of the military’s oversight only in mid-2011, I see Erdoğan possibly winning enough dictatorial power for him (or a successor) to achieve his dream and fully implement the Shari’a.